Colin Lester graduated Penn State as a public relations major last May. Since then, he’s been on the ride of his life- with the Planters NUTmobile! He travels the country in a large peanut shaped vehicle, stopping and making media appearances. The job lasts for one year and he gets to travel with two other employees. Colin and his co-workers have each had around one hundred media appearances so far, including the Macy’s Day Parade and NFL events, all while traveling the country. They refer to the job as a PR firm on wheels. 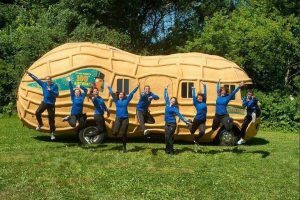 The NUTmobile visited Penn State last week to recruit future employees. Colin is one of my friends from theatre, and I got to ask him a couple of questions while he was here. Lauren: How did you hear about this job? Colin: My junior year, the Oscar Mayer Wienermobile did a presentation in one of my classes. When they came back my senior year, I knew I wanted to apply to both the Wienermobile and NUTmobile. 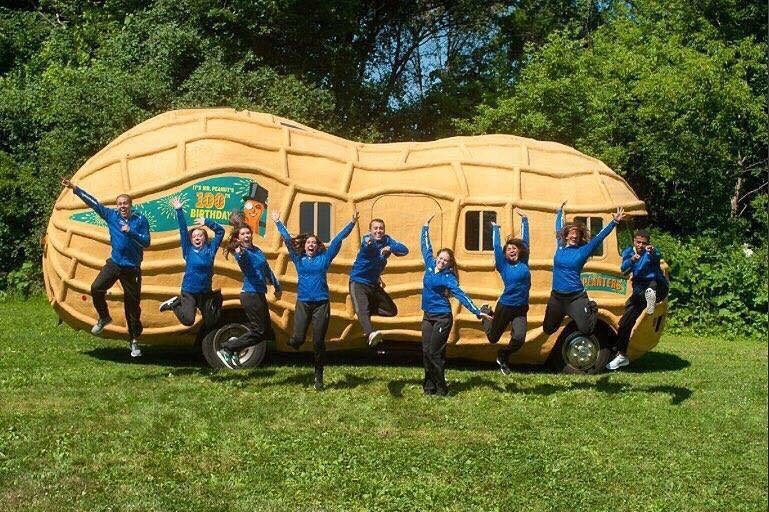 I went through the interview process of the NUTmobile program after that and I’ve been with the NUTmobile since graduation. Lauren: What made you decide to take this job? Colin: The ability to travel and put to use all the skills I learned at Penn State really sold me. On top of getting paid to travel, I get the satisfaction of knowing my hard work in college paid off in the real world. Lauren: What has been the best part of working for Planters? Colin: The best part is traveling with the NUTmobile across the United States. I’ve seen over 20 states on my tour and have been to a ton of cool places and cities. Lauren: What’s post-graduation life been like for you? Colin: It’s been the best year of my life. 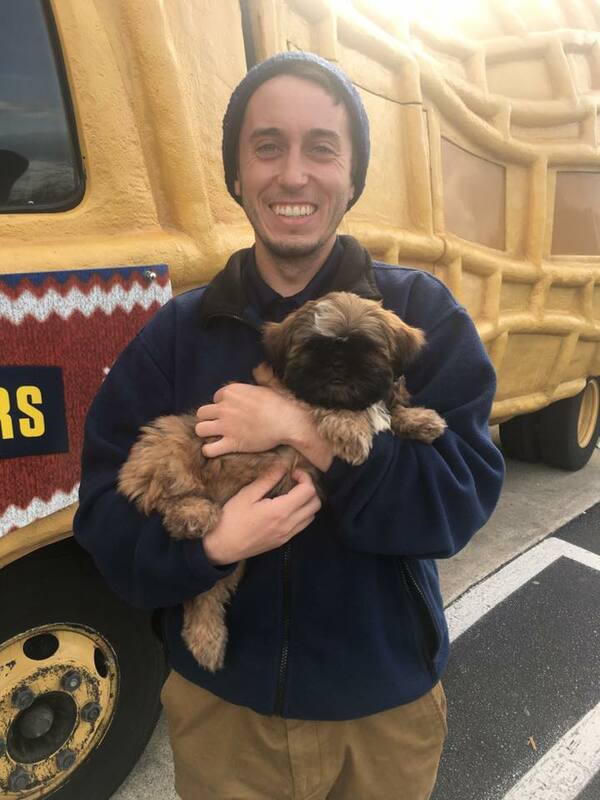 Traveling with the NUTmobile has been the opportunity of a lifetime and I couldn’t ask for a better post-grad experience. Colin really loves what he’s doing post-graduation, and working for the NUTmobile is only one of the cool jobs you can get as a Penn State grad.